Hana Pesut "is a self-taught photographer raised in a small town in the mountains and currently living in Vancouver, Canada. Her main focus in photography is the 'little moments' that people sometimes miss and later wish they had captured. She hopes to inspire others to take more photos in their day to day life." One of Hana's photography projects is "Switcheroo." In this project, she takes a photograph of people wearing their own clothes, then they switch clothes, and she takes a second photo of the people after the switcheroo. Not exactly femulations, but interesting and fun nonetheless, the project archives can be viewed here, while the latest Switcheroo photos can be viewed on Hana's blog. Not too sure about "Switcheroo-ing" but I agree with the notion we ought to take more pictures of ourselves. Especially we trans-persons. I'm looking for a nice camera with a tri-pod as I type this! 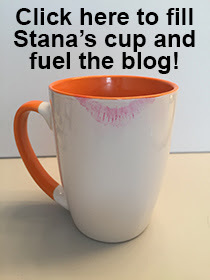 Thanks for the idea, Stana! Nice information. As always Stana! Now that's just awe inspiring! cept that one is photoshopped. those people are really swapping clothes, I LOVE it! Headswap is pretty fun. Some are really "successful".